Russian Venus probe. Venus probe with the announced mission of direct atmospheric studies. Venus lander, Russia. Launched 1967. AKA: 1V;1V (V-67). Status: Operational 1967. First Launch: 1967-06-12. Last Launch: 1967-06-17. Number: 2 . Gross mass: 1,105 kg (2,436 lb). The descent vehicle carried two thermometers, a barometer, a radio altimeter, an atmospheric density gauge, 11 gas analyzers, and two radio transmitters operating in the DM waveband. The main bus, which carried the capsule to Venus, had a magnetometer, cosmic ray detectors, hydrogen and oxygen indicators, and charged particle traps. Signals were returned by the spacecraft, which braked and then deployed a parachute system after entering the Venusian atmosphere, until it reached an altitude of 24.96 km. More at: Venera 1V (V-67). Family: Venus. Country: Russia. Engines: KDU-414. Launch Vehicles: R-7, Molniya 8K78M. Projects: Venera. Launch Sites: Baikonur, Baikonur LC1. Agency: MOM, Lavochkin bureau. Bibliography: 2, 296, 6, 64, 65, 13329. 1967 June 12 - . 02:39 GMT - . Launch Site: Baikonur. Launch Complex: Baikonur LC1. LV Family: R-7. Launch Vehicle: Molniya 8K78M. Venera 4 - . Payload: 1V (V-67) s/n 310. Mass: 1,104 kg (2,433 lb). Nation: Russia. Agency: MOM. Program: Venera. Class: Venus. Type: Venus probe. Spacecraft Bus: 2MV. 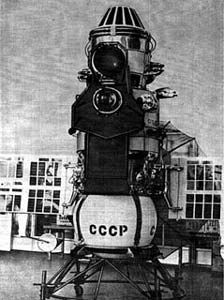 Spacecraft: Venera 1V (V-67). Decay Date: 1967-10-18 . USAF Sat Cat: 2840 . COSPAR: 1967-058A. Venera 4 was successfully launched towards the planet Venus with the announced mission of direct atmospheric studies. 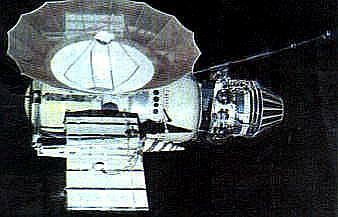 On October 18, 1967, the descent vehicle entered the Venusian atmosphere. Signals were returned by the spacecraft, which deployed a parachute after braking to subsonic velocity in the Venusian atmosphere, until it reached an altitude of 24.96 km. 1967 June 17 - . 02:36 GMT - . Launch Site: Baikonur. Launch Complex: Baikonur LC1. LV Family: R-7. Launch Vehicle: Molniya 8K78M. FAILURE: Stage 4's engine 11D33 failed to ignite because the turbopump had not been cooled before ignition.. Failed Stage: U.
Cosmos 167 - . Payload: 1V (V-67) s/n 311. Mass: 1,106 kg (2,438 lb). Nation: Russia. Agency: MOM. Program: Venera. Class: Venus. Type: Venus probe. Spacecraft Bus: 2MV. Spacecraft: Venera 1V (V-67). Decay Date: 1967-06-25 . USAF Sat Cat: 2852 . COSPAR: 1967-063A. Apogee: 264 km (164 mi). Perigee: 211 km (131 mi). Inclination: 51.8000 deg. Period: 89.20 min. Suggestions for the cause of the failure included incorrect soldering of wires in multiple pin plugs, wrong attachments of the plugs to the pyrotechnic connectors, or a mix-up of the pyrotechnic connectors during assembly.. Investigation of the upper atmosphere and outer space. 1967 October 18 - . Venera 4 Landing on Venus (USSR) - . Nation: Russia. Spacecraft Bus: 2MV. Spacecraft: Venera 1V (V-67).